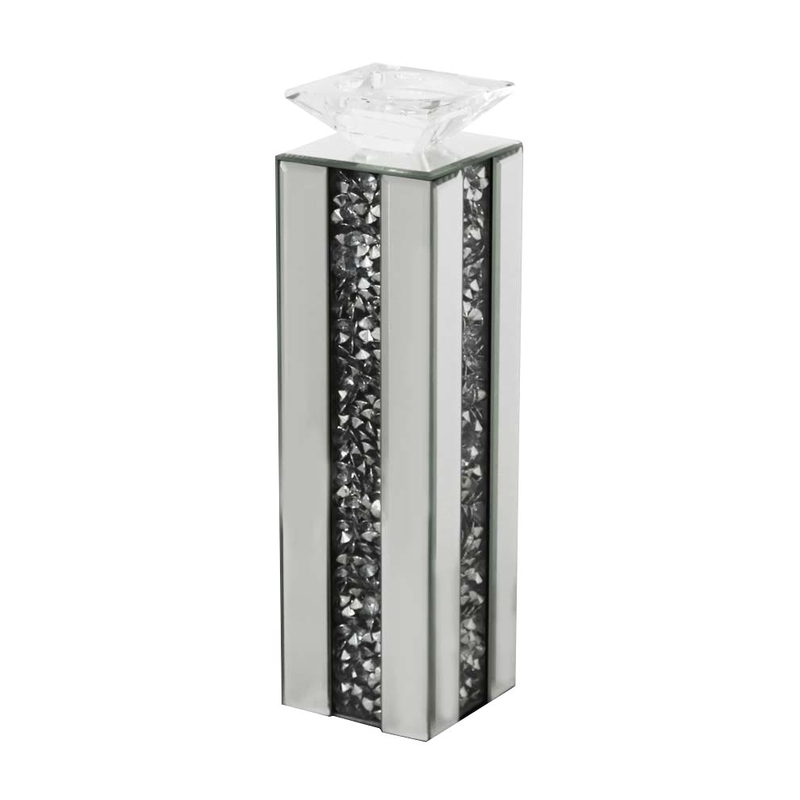 This is such a beautiful mirrored candle holder, it has a crystal like design on the outside. This is such a beautiful piece because of the simple and sweet design of this candle holder. If you're looking for more of a subtle and sweet way of adding that modern feel to your home, this is the perfect way to do so. It is part of the newest mirrored range, the Gatsby collection.